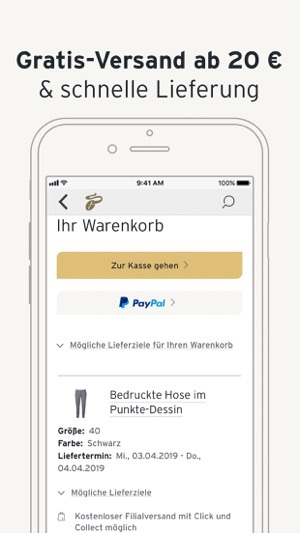 Get inspired by the weekly changing Tchibo theme worlds, place orders without a big fuss and use many other services when you’re out and about: mobile shopping as it should be – with the Tchibo App for your smartphone. 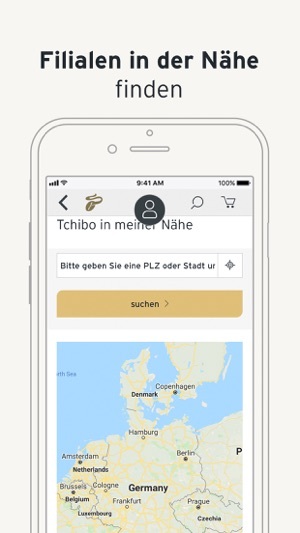 The Tchibo App for iOS is available in Germany, Austria, Switzerland, the Czech Republic, Slovakia, Turkey, Denmark and Sweden. 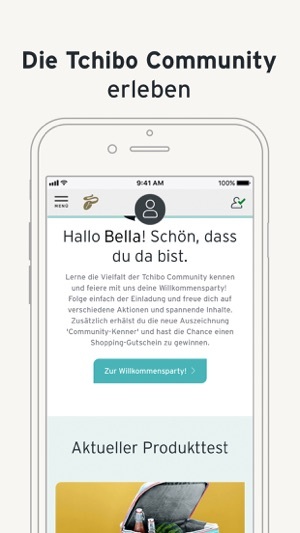 Fast and without any detours: the store finder will show you how to get to the nearest Tchibo store or the nearest supermarket with a Tchibo shelf including its opening hours. See you soon! 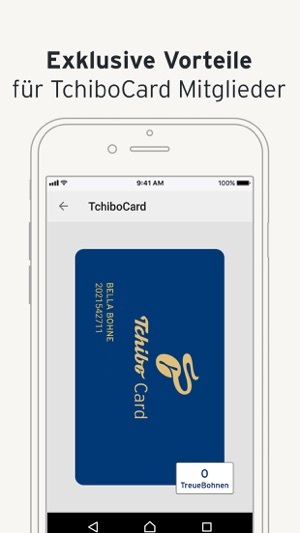 More space in your purse and all advantages when out and about: as a TchiboCard customer you will always have your digital TchiboCard at hand. 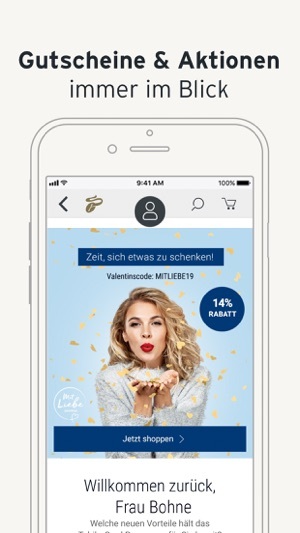 We will send you our vouchers directly on your smartphone to let you enjoy the little surprises life has to offer. 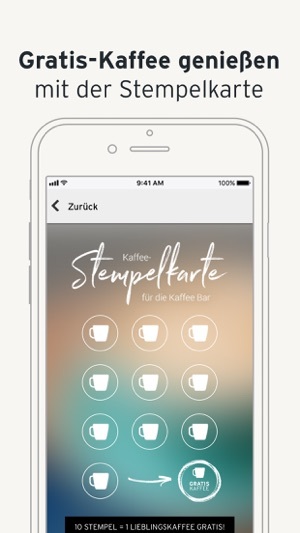 And you can redeem them right away with the Tchibo App, online or in a Tchibo shop nearby. 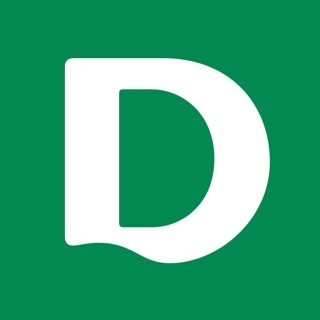 Low prices at all times. 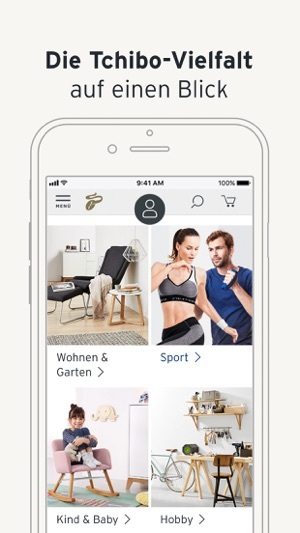 The Tchibo App will also tell you about all the price-reduced products in the %-Shop.